A flea infestation can negatively impact you and your family in multiple ways. Some people assume fleas are nothing more than a nuissance, occasionally biting into a warm-blooded host for a meal. Granted, the painful, itching bite marks they leave behind is reason enough to take action and eliminate them from your home, but fleas can also create mental stress that takes a toll on family members. Just knowing there are hundreds of tiny blood-sucking parasites living inside your home is enough to drive anyone crazy. Even if you don’t see them, they are there — bunkered down in the carpet fibers, furniture, bedding material, and even your dirty laundry. You can clean your home on a daily basis and still not make a dent in the flea population, adding even more mental stress to this scenario. Of course, the sheer pain and discomfort associated with flea bites can also trigger stress. You may wake up in the morning only to discover half a dozen painful flea bites on your legs. These bites serve as a reminder that fleas have overtaken your home and you are helpless to stop them. Homes infested with fleas are often viewed as dirty and/or unsanitary. In reality, though, fleas aren’t biased towards dirty homes and will choose any indoor environment to multiply their numbers. Don’t assume that your home is dirty just because you have a flea problem. 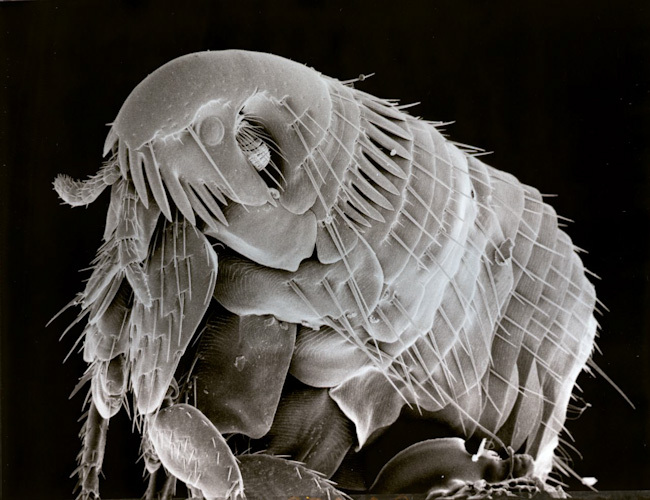 Homes of all shapes, sizes and levels of cleanliness may experience flea infestations. Don’t give up on your battle against fleas. Take steps each and every day to eliminate them from your home. Get out of your house and enjoy the outdoors. Whether it’s going to the local park or even for a jog around the neighborhood, you should stay active to keep your mind off the flea infestation. Keep the floors of your home vacuumed, going over them at least once every other day (note: this is a highly effective, all-natural way to eliminate fleas). Treat yourself to a day at the spa. Wear long-sleeved shirts and pants to protect your skin against flea bites; thus, reducing some of the stress caused by an infestation. How do you handle the mental stress of a flea infestation? We’d love to hear what you think in the comments section below! Can You Have a Flea Infestation In Your Home Without Pets?